This Partners Choice 01-0815 is a standard torsion flex adapter that can be used for 5" to 5.5" bolts. 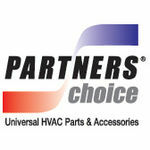 Partners Choice is a provider of diverse parts and accessory products. Partners Choice is the aftermarket arm of Nordyne which carries commercial and residential HVAC equipment that are of excellent quality. Their main goal is to emphasize on core service parts such as motors, contactors, compressors, relays, transformers, and capacitors.  PlumbersStock is a great online partner for buying plumbing supplies and more! It offers a wide selection of tools, lawn and garden equipment, and HVAC supplies. It can give you almost everything that you're looking for when it comes to plumbing parts. You can even find some of the hardest-to-find parts in the industry here at PlumbersStock at very fair prices. Shipping Dimensions 8.0" x 7.0" x 13.0"